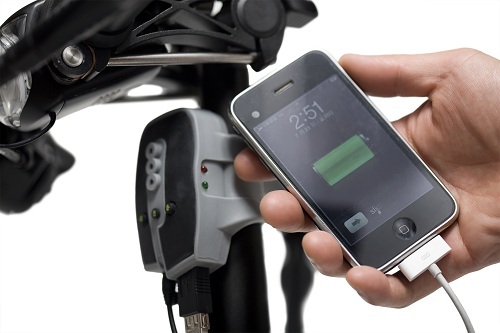 Use Your Bike To Recharge Your iPhone (And Other Gadgets) | OhGizmo! When I was a teenager, I used to ride my bike everywhere. Sure, that changed once I got a car, but for a couple of years that bike got me everywhere. Since I rode it at night, I had a little light on the front which was powered by a small generator. I’ve often wondered why we don’t use our bikes to power other things. After all, you don’t need to power a light during the day. I’m apparently not the only one who wonders about these things, as evidenced by the latest gadget from Dahon.